One of pay per click advertising’s USPs is the fact that it is an instant form of online advertising. You can join a program such as Google Adwords and have a fully functioning campaign up and running in a matter of minutes producing instantaneous traffic. For this reason, million of advertisers choose PPC over competitors such as and in-text advertising. 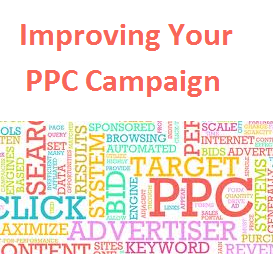 However, as well as creating a campaign in minutes, you can as a PPC advertiser improve your campaign in minutes too. PPC is a great form of advertising for two reasons. The first being the support you get from websites such as this one. You are never two clicks away from a great article about PPC. The other reason is that PPC is great in the way that a few quick and simple tips can improve your campaign’s performance. Negative keywords are keywords in your campaign you don’t want your advert showing up on Google results from being searched for. For example, if you are selling a product that is not eco-friendly such as a fuel guzzling super car, you would include ‘eco-friendly and low CO2 etc.’ as your negative words so you can block your campaign from them. A better example would be to have your negative keywords as ‘cheap’ and ‘free’ if your are selling something expensive. So, why would you use negative keywords in a campaign? Brand Awareness – You are not going to get a conversion every time. There will be times when a customer will click onto your landing page and will be unsure whether to buy your product and click away. If they search on Google for a keyword which goes against your product, it may be the decider whether they should buy your product/service or not. Money – Negative keywords are also used because they provide poor results. Therefore, from not including them in your campaign will result in you wasting away your PPC budget on poor traffic with a low conversion rate. A common mistake PPC advertisers make is that they use alot of keywords for just one advertising campaign. The problem with this is that you are not always going to provide the web user what they want. For example, if the web user searched for ‘water bottle’ and your campaign is about fizzy drinks, you are displaying an advert which is not likely to be clicked because the web user isn’t interested in fizzy drinks but water bottles. Therefore, make a separate advert for all your keywords. The more linked your keywords are to your advert, the more clicks you will get. With a few simple tips, you can change your campaign for the better gaining more traffic and conversions. Another factor you should consider is your PPC text advert itself. Line 1 should link in with your keywords. Line 2 should outline a benefit you will gain from clicking on the advert with line 3 describing an offer currently on. Through implementing these tips into your PPC campaign, you will be on your way to improving it.